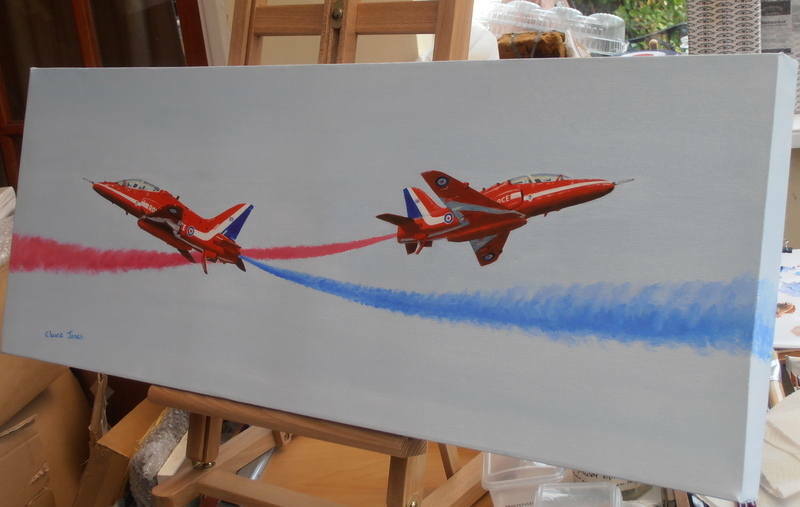 Original oil painting of the Red Arrows, unframed. Overall dimensions approximately 32" x 12" (80cm x 30cm). Painted on all four edges, 1.5" (3.5cm) deep, so does not require framing. Price includes FREE First Class UK postage. 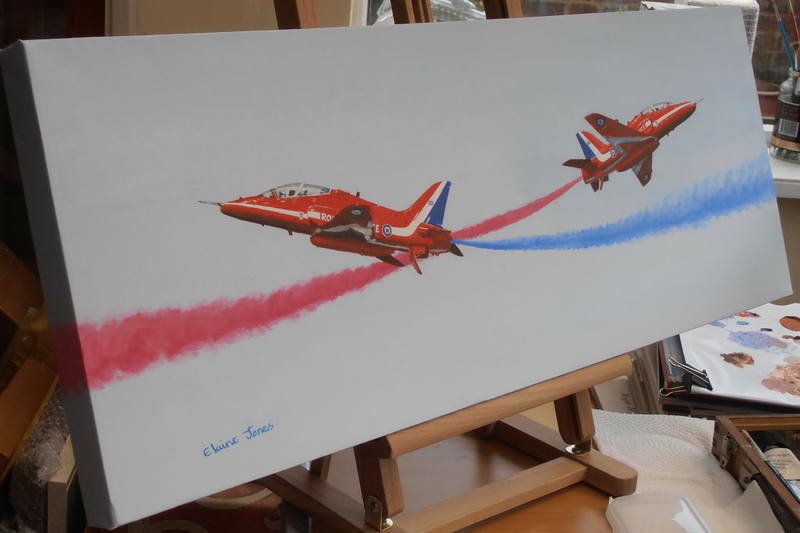 Another crowd-pleasing display by the Red Arrows, the much-loved RAF display team. This picture depicts the heart-stopping moment when the synchro pair pass within feet of one another at the centre of the crowd line. The original is painted on all sides (3.5 cm deep) and does not require framing.